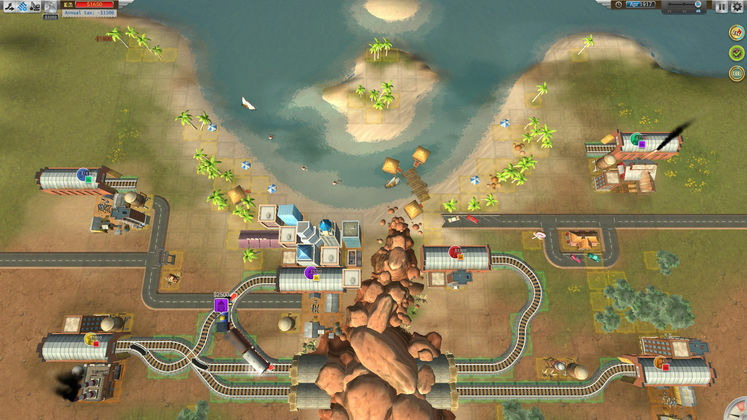 Train Valley is the latest indie train simulator that has crossed my desk, and while I’ve come to understand the joys of the simulator genre over the last several years with games like Banished and Cities: Skylines, for the longest time I didn’t quite get what made these games so popular among their fans. What I came to realize once I started playing these games is that the most compelling aspects of the game begin with deep, interconnected mechanics that force players to make meaningful choices that result in significant consequences, for good and for ill. Unfortunately, in its current state Train Valley does not offer the varied gameplay or choices I’ve come to expect from the genre, and while it’s rooted in a neat concept—building railways throughout different historical eras and locations—the game’s execution doesn’t realize the full potential of the idea. Train Valley has two modes: a classic mode, which is an objective-based series of scenarios that span across the United States, Japan, Russia, and Europe throughout the 19th, 20th, and 21st centuries, and a sandbox mode. When I say you play across these locations in classic mode, in fact you play across geographical approximations of these spaces. Places like Florida are represented as coastal environments that offer some unique challenges due to the bottlenecking effect of the map’s terrain. Italy, on the other hand, which you might think would share a similar, more mountainous geography, ends up featuring a single massive volcano that occupies the middle of the map. Pray that it stays dormant. Each map begins with several stations open and a series of objectives that you are encouraged to complete. The goal is to get all the trains to their destinations without going bankrupt, but each map has a different design and series of map-specific objectives. The first move is always to connect the stations and get trains moving between the two so your business can start making money. Every train has a dollar value and a station color attached to it. Get that train from its starting station to the station with the matching color of the train and that money goes to you. The longer the train takes to reach its destination, the less money you make. As you make money, existing stations will expand and new stations will pop up on the map. Connecting these lines to your existing rail systems will open up the possibility to send more trains around the map at any given time. Of course, the more intersecting rail lines you have, the more careful you need to be when sending trains out. Diverging rail lines need to have their tracks manually switched by the player before the train reaches the exchange, and each station that pops up increases the number of connecting railroads. Misalign just one track switch and your train will end up barreling into a wrong station or oncoming train. 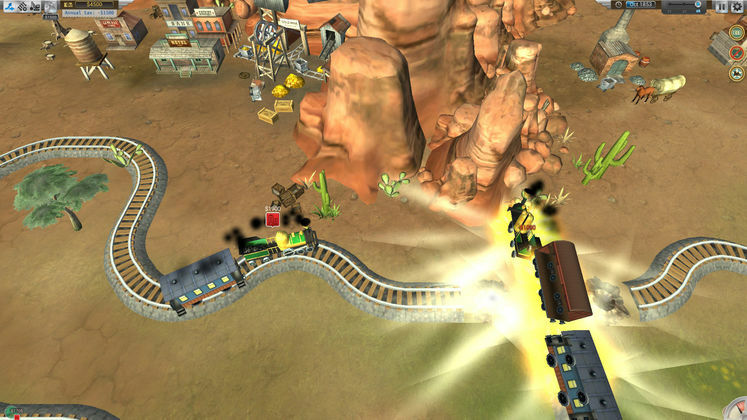 The second mode is an open sandbox mode which lets players build train networks across the same maps as in the classic mode, but without the loss conditions or resource management. 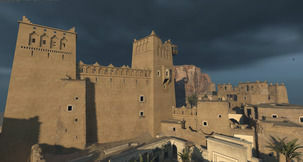 This mode is available for every map that is completed in classic mode and mirrors the set-up of each map. And this is the first problem I have with the game. Sandbox modes in games serve several purposes. 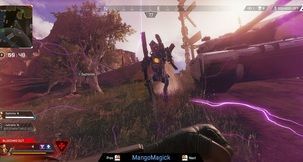 In some instances, the sandbox allows players to try out new strategies and builds to see what is possible, without restricting players by objectives or missions. 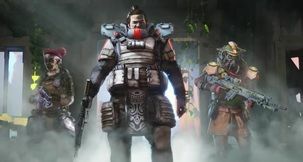 It is a creative space for players, and while the challenges it offers should not be as restrictive (or focused) as the main campaign, the sandbox should still serve as an interesting and engaging means of testing a player. 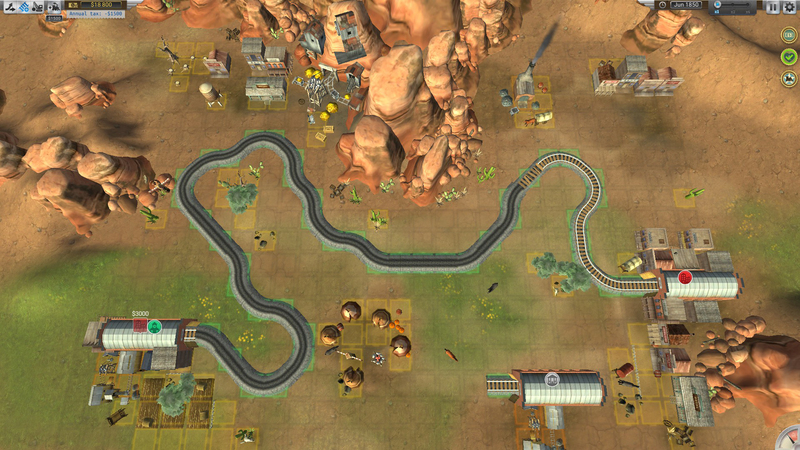 The sandbox mode in Train Valley is somehow less open than the classic mode because it eliminates. Money is no longer a resource you have to worry about, so rail design and moving trains in a timely fashion are no longer a concern. 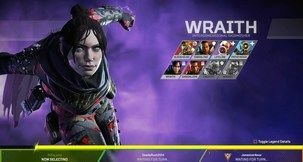 This removal of both carrot and stick means that there’s really not a lot to do in a game that already has issues with offering meaningful player choices. And I think my issues with the game’s sandbox mode are symptoms of the game’s core problem: Train Valley is a game without any real ambition. Does it simulate trains moving between stations through different times and environments? Yes, but every game can be reduced to the same series of repetitive actions that get in the way of any game design that might be considered interesting. Terrain is only ever an obstacle. Some terrain features are impassible, while others can be built through at a cost. Laying down tracks is a single button that you have access to, and while you have directional control over where the tracks go, it’s only over a single plane. Is that a little body of water in your way? Sorry, you’re going to have to path around it, because there are no options for bridge-building, tunneling, or any form of elevated construction that should probably be a part of a game about trains. More concerning than the lack of building tools is the tedium of the game. Forgetting to set one track to switch directions can send a train careening down the wrong track, exploding spectacularly into any oncoming trains that have the misfortune of being on the same line. These collisions often destroy tracks, and if you don’t have the money to repair the line, whole stations can be isolated, without a traversable path to other station. Of course, the station will continue to send out trains, which further drains your resources as they derail at the last collision site. In these instances I find myself throwing my hands up, launching trains out of every station and watching the explosions until I’ve gone bankrupt and the simulation ends. Surely there’s a mechanically interesting way to simulate trains that most move according to specific timetables in order not to interfere with other scheduled train lines. Asking players to manually keep track of each rail switch and station is not it. Successfully redirecting a train onto a side rail in order to prevent collision and bankruptcy.